Shelley Van Damme is “blown away” at the honesty of her fellow employee, who turned in $150 she found in her workplace parking lot, lost by a stranger. “She is a struggling student herself, and it would’ve been so easy to pocket the money,” she said. Van Damme was so impressed by this local act of kindness that she had to tell the Voice. 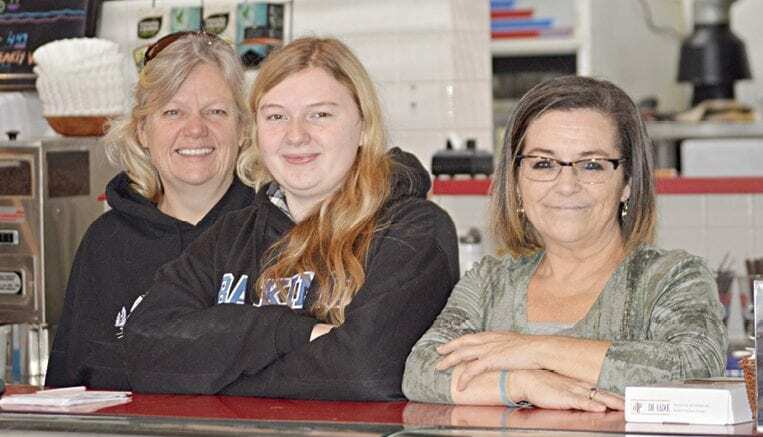 The Christmas spirit or “divine intervention” was definitely shining one day a few weeks ago over the Avondale/Donut Diner store at Chambers Corners in Wainfleet for an anonymous Fort Erie man, reported Van Damme, a waitress and kitchen worker there. The man dropped three $50 bills in the parking lot of Avondale, money later found by Tara Beaulieu, an employee. When the lucky, elderly gentleman was backtracking where he might have lost the money, he drove all the way back to the Donut Diner, explained Van Damme. While the location has many regular customers, given its old-fashioned general store ambience and stock—everything from groceries to coffee and beer—Van Damme did not recognize the stranger. “He’s not one of the regulars here.” Regardless, Van Damme noted, particularly after Christmas, people have lots of bills to pay. Many elderly persons struggle with limited pensions and budgets all year round. As far as “divine intervention” is concerned, she said many patrons are Christians from the Dain City area, so perhaps some of their beliefs have touched the staff. As a new employee, Van Damme isn’t sure if there are “employee awards,” but she said that her manager believes Beaulieu deserves a “pat on the back.” Furthermore, framing this article for their wall, as an additional conversation piece, is a monumental idea, said Van Damme.